The second volume of the reprinting Andew Loomis's art instruction books is now available. I've seen copies in stores, though Amazon won't release it until Oct. 25. Loomis was a commercial illustrator in the days when mass circulation magazines were full of painted illustrations accompanying fiction. He also authored a series of art instruction books that are still much sought after, even 6 decades after first being published. The books were out of print for years and copies commanded over $100 apiece on used book sites. Titan Books (who are also publishing The Simon and Kirby Library; the next volume is of their crime comics and due out momentarily) have undertaken to reprint Loomis. This volume follows Figure Drawing for All It's Worth. While art styles have changed since Loomis's day, the fundamentals don't change. Anyone interested in learning to draw will benefit from Loomis's books. I'm not sure why anyone would want these. Through doing you can learn it all, as there aren't any tricks or shortcuts. I'm not sure why anyone would NOT want these. Your comment doesn't make any sense, of course there are tricks, let someone find out about head drawing on his own or give him this book and see the difference it will make. What you're saying is pretty much "why use the wheel when you can first invent it yourself?". I strongly recommend this book to both beginners as more advanced artists who are looking for a solid foundation in their portrait drawings, this method has proven to work and refusing to make use of it is plain stupid. If you want to find it out on your own, go ahead, the smarter artists will use the many tools offered to them to make life easier. I'm no Da Vinci and I'm sure you're not either so unless you are planning on spending a lifetime on figuring out what others have figured out long before you I'd recommend grabbing a decent book or two, and this one is certainly in the top ten. I'm curious to how you study anatomy, steal a cadaver and examine it for yourself? 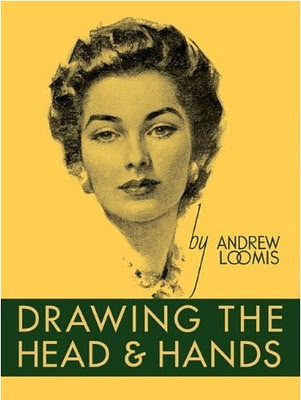 I forget the precise title but I learned the best "recipe" for drawing a head's basic structure from an old Loomis book, several decades ago. I learned a lot more about draftsmanship later on, from both practice/observation plus talking to other pros, but the Loomis books should not be snubbed. They were practical and fun! Very interesting blog … why do so many animators have cooler blogs than most illustrators?